If you are about to undergo your first property removal or the relocation is of considerable proportions, then our advice as a professional moving company is to use specialised assistance. We handle all types of residential and commercial removals in Belsize Park, this means we can organise, carry out and complete successfully your relocation without any costly delays or unexpected setbacks. Our expert movers and experienced drivers will ensure the safe handling and no-damage transportation of your belongings. Protection of items in our care is made possible by our professional packing service. If you wish to do your own packing, please let us know and we will provide the necessary packing materials. Cost efficiency and affordability of our removal services is top priority. This is why we provide all customers with free, no obligation service quotes and flexible pricing that meets specific budget requirements set forth. We offer midweek discounts on all moving services. Customers have access to punctual and reliable customer support available twenty four hours a day, seven days a week. All stages of the removal will be coordinated by our call centre in order to avoid any complications along the way. The company holds full liability insurance and has the necessary licensing to operate countrywide. 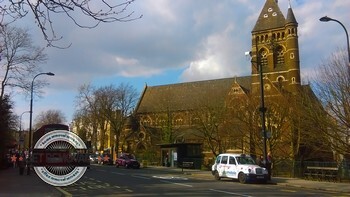 Professional removals in Belsize Park are our field of expertise so entrust your relocation to the best in the business. We are available for booking seven days a week, with good short notice availability in the NW3 postal area. If you are looking to spend some quality time in Belsize Park while we deal with the removal, by all means do so as Belsize Park is a lively suburb with a large number of good restaurants, cafes and bars, mainly situated along Haverstock Hill and England’s Lane – serving as the main commercial zones in the area. A short walk from Belsize Park is the large, ancient park of Hampstead Heath. The Heath as the locals call it is a pristine, three hundred and twenty hectare green space with a number of recreational and sporting facilities available to the public. Only five minutes away from Belsize Park’s commercial zone is Primrose Hill – an elevated site that provides for some of the most exceptional panoramic views of Central London. Belsize Park takes its name from the French phrase bel assis which translates to well situated – indeed a befitting name for this particular suburb. Belsize Park’s name comes from the French phrase bel assis which translates to well situated – and indeed the area is well placed within central London. The actual Belsize manor dates back to the early thirteen hundreds. Most of the construction of estates and infrastructure around Belsize Park took place during the second half of the nineteenth century. The modern day residential estates in the area were built after the end of World War One. Most of the large family homes around Belsize Park , NW3 have been subsequently converted to apartment buildings. Belsize Park is arguably one of the places with the most celebrity residents per capita! And our removal company has served some of them for their home removals.